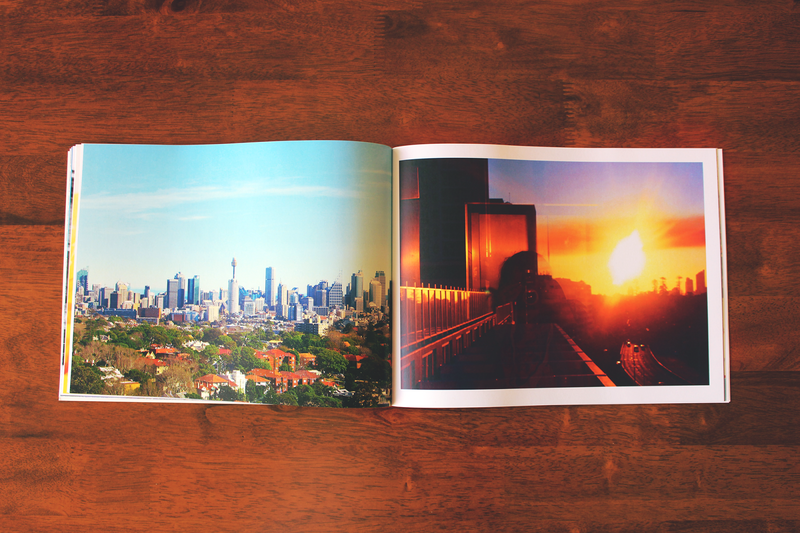 For months now I've been wanting to order a photo book from Artifact Uprising. They are most well known for their Instagram photo books - their tagline being "inspired by the disappearing beauty of the tangible". I think a lot of us identify with their tagline - there's something so special about holding your memories in your hands and it seems like the world doesn't find value in that anymore and are content to keep all their photos on their devices that can so easily be lost or accidentally deleted. When I discovered Artifact Uprising I scoured the internet and quite literally have read every blog post on the photo books - I'd be shocked if you could find one I haven't already seen. 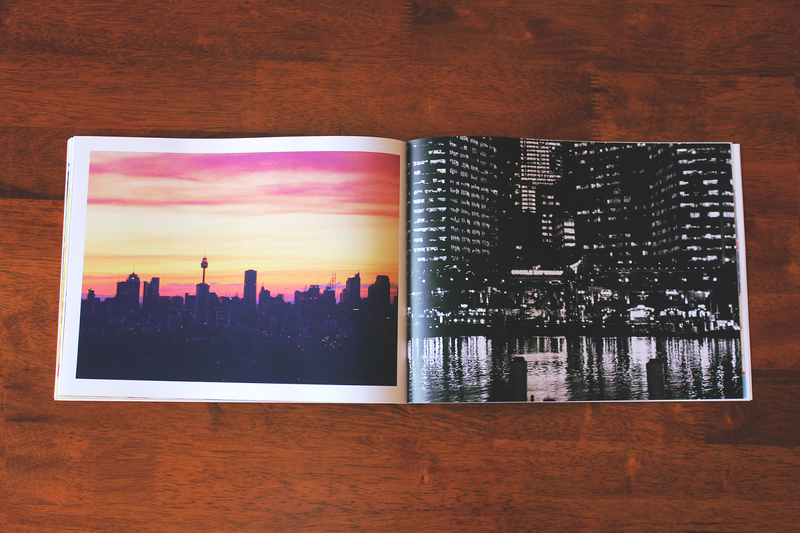 I knew I wanted to make my own photo books - one for my brother & I, one for my childhood and a Sydney one. I've made two trips to Sydney in the last two year that I wanted to document - the first was in November 2012 and the second in August 2013 which you can read about here. 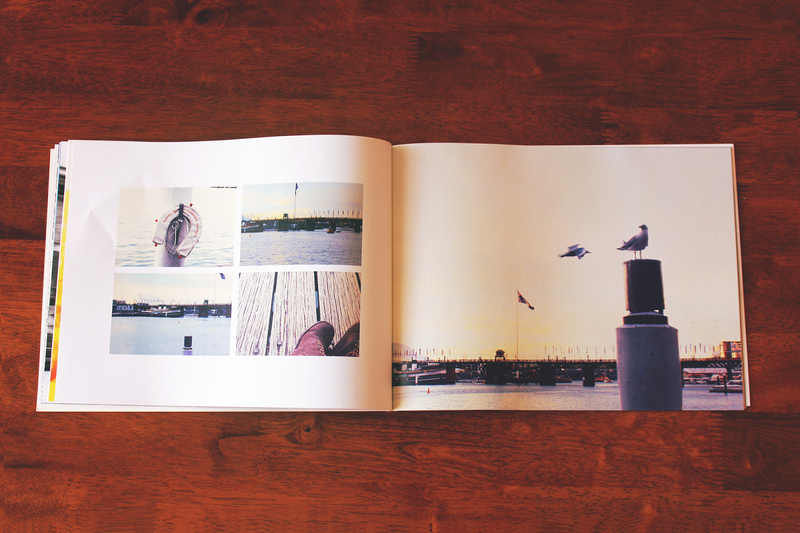 The quality of this photo book is fantastic - the pages are lovely and matte, easy to turn and feel great in your hands. Artifact Uprising's method of creating books is very easy, however, it requires planning as you're not able to move pages around as of yet. I'm hoping that's something they work on in future. 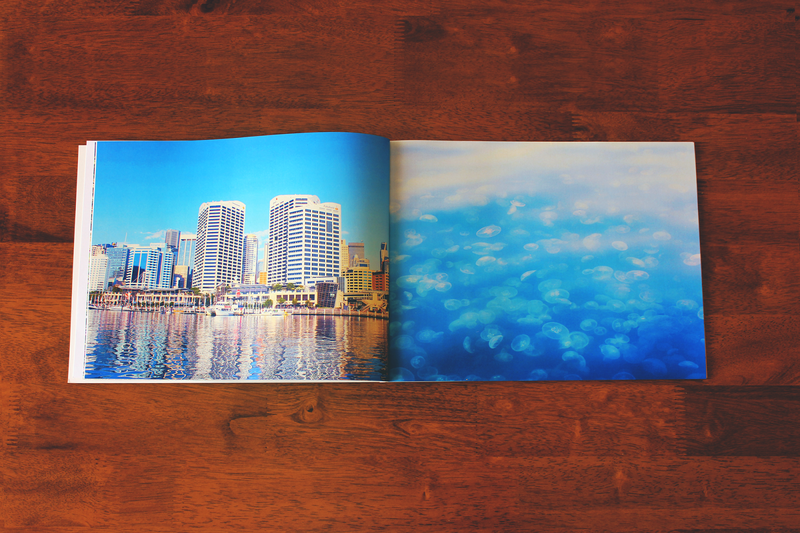 One thing I've noticed throughout my photo books is that their printer doesn't handle red tones very well - however, it is fantastic with blue tones. I will be avoiding red in future photo books I print with them. The spread above is my favourite. 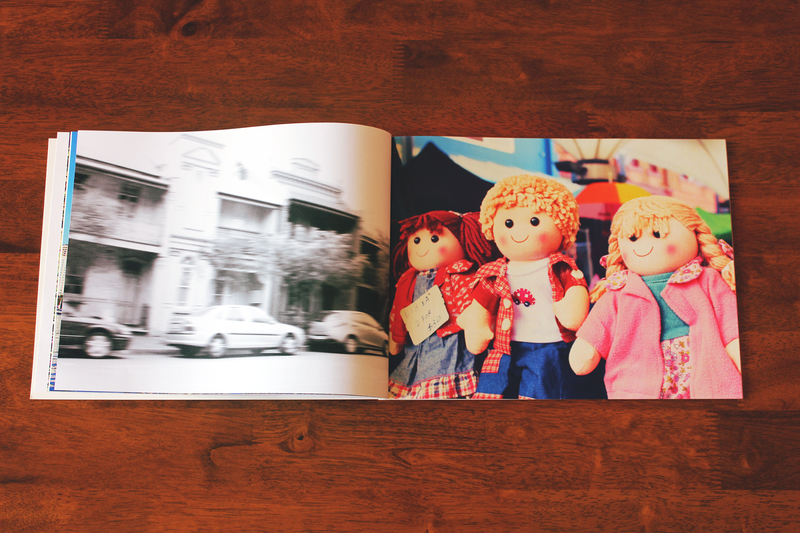 I've decided that I don't like the white border layout - I will definitely print full-bleed with future photo books. That little scrunch is what happens when you let your brother look at the book before you photograph it. Another one of my favourite spreads. All-in-all I'm very happy with the book - the quality of this one is fantastic and it's a lovely way to capture my favourite city in the world. I will still print out 4x6 prints of my photos as I find them more satisfying to hold in my hands than a photo book but that's just me. If you have any questions or have made photo books with Artifact Uprising before let me know what you think! Your books looks wonderful! I've been intrigued by this company; thanks for sharing! Thank you! :) Glad you liked it. 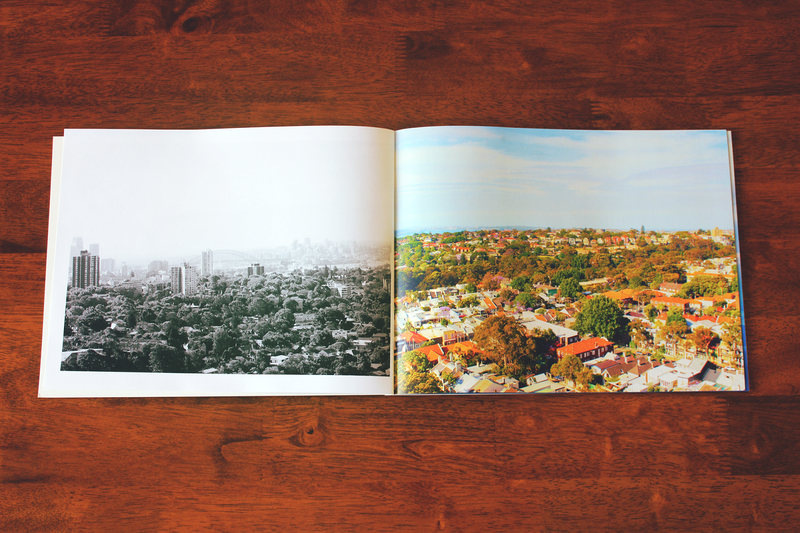 I have some of my photos printed by AU but I've been curious about their books! It's good to know that the red tones don't show as well--thanks for this review Erin! 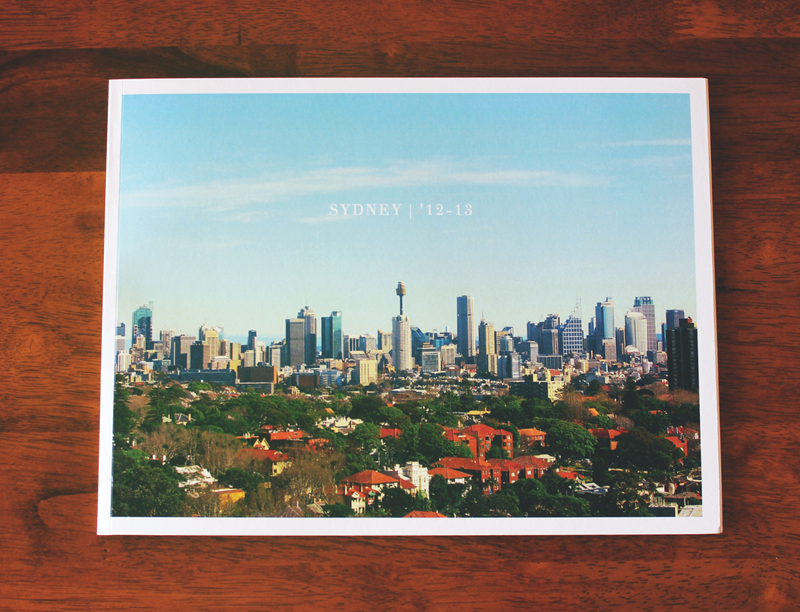 Your shots of Sydney look lovely. Gorgeous photo book!! Love the vibrant colors and great photography! Thank you very much Ellie! Wow these looks beautiful! I just started printing my photos out last year, I agree that it's much nicer than leaving them sitting on a hard drive somewhere. It really is :) It's fun to put them away in a drawer and discover them again years later too. What paper did you choose? And is it suitable to write on after receiving the book? I want to make a photobook with AU, but I'd like to leave a few random pages throughout the book blank so that I can hand-write in captions and stories to accompany the photos, but I've been unsuccessful in determining if the paper is "too" glossy or slick to write on without having the ink smudge or fail to dry at all. 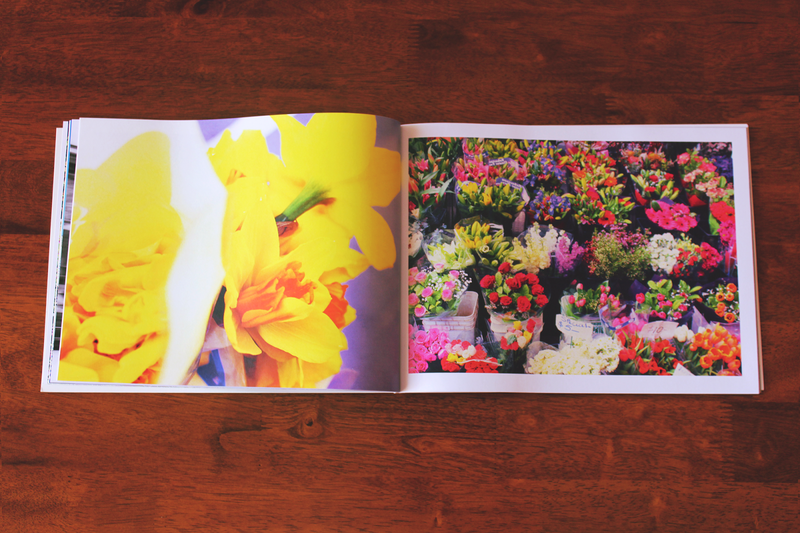 I don't think I specifically chose any paper - it was just the standard option for Landscape 11 x 8.25 Softcover photo book. I'm sure you could write on it though - a biro pen would definitely work but if you're wanting a gel pen I would let it dry for a long time before closing the book just to make sure it won't run.